Then God’s temple in heaven was opened, and the ark of his covenant could be seen in the temple. There were flashes of lightning, rumblings, and peals of thunder, an earthquake, and a violent hailstorm. I will open my heart wide and allow all the streams to pour forth from the heart of a mother. Yes, I am the mother, the mother of God and the mother of the Church. However, for so many, I cannot act as a mother because they do not know me and those who do know me do not come to me. So, on this first Saturday, I open up my whole heart. I share all my treasures, so I can truly be mother to all. Some of my children are close to my heart. How I treasure them and protect them. I keep them safe from the Evil One and he cannot harm them. Now, I call out to all my other children. There are many empty spaces close to my heart. There is a place for you. I, personally, am inviting you to take the place I have for you. It is yours. I have reserved it for you. I will go before you in all of your enterprises. I will keep your enemies far away and unable to hurt you. I will teach you how to love and to build up your family relationships. I will send you on great missions, to accomplish great works for my Son, Jesus. I will make you stouthearted. Others will find in your heart what you find in mine. This is my plan. Many will see in you what you see in me and all will be drawn into my heart. I always speak of my heart. It alone is the Ark of the New Covenant, established by the heavenly Father when he placed his Son in my womb. He knew what he was creating, not just a place for his Son but a place for all the world. Let this word go forth. I am the Ark of the New Covenant and all are welcome. Within this Ark, all are safe (like Noah and his family). Outside of the Ark, all will perish. For in the days of Noah, they were eating and drinking, buying and selling. Does that not sound familiar! You know what happened next and you saw their foolishness. The floods will come but the world need not perish. My Ark has room for everyone. Come. Come. My motherly heart does not want you to perish. I gather your heart into my heart and there I reveal my secrets so all the world can understand. Nothing will be hidden from you so you can reveal all to the world. When a person begins to be touched by these words, they will hunger for more. Then they, too, will be on the same path into my heart. I want the whole world to come into my heart. Only there, will all be safe. Facing the world are years ahead of destruction and disruption of normal life. All the world will be affected. Some parts will directly experience the destruction. Other parts will experience disruption. Normal life, so to speak, will not exist. It will be a time unknown to the human race, of which the destruction of the twin towers is an image and an example of future trials. Long before this, people must have learned of my Immaculate Heart and the truth that I always call forward. I say it over and again. The only place of refuge will be my motherly Immaculate Heart. There is a place there for everyone, of any faith and of any denomination. The urgency is so great, that my heart will remain open until the last minute but no one should wait. If they do wait they might find themselves far away and unable to arrive on time. At some point my heart must close, like the doors of the Ark. Otherwise, the flood waters would enter and destroy those who are within. What do I mean by all these images? What does it mean to enter my heart? I will explain. First, you must know me. 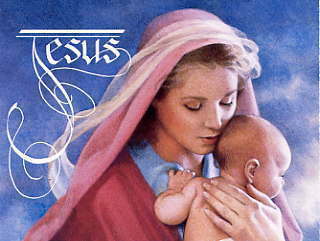 I am the virgin mother of Jesus. I say virgin, so you know that the Holy Spirit came upon me. He prepared not just a place for Jesus but a place for all the holy ones. 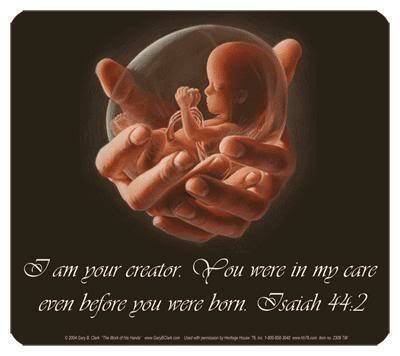 All are conceived in my womb. This was proven at Pentecost, when the Spirit came and began the Final Age. All the disciples were gathered with me in that upper room. You enter my heart by faith. You say “Mary can save me. Mary is the Ark of the Covenant” (Rev.11:19). If you wish to know what is happening, if you wish to interpret these events, then read the Book of Revelations, chapter 12. I am the Woman clothed with the sun. Even in the greatest darkness, I will be clothed with the sun but you must know who I am and how urgent it is to enter my heart. I go on and on, describing the present situation only because I believe and trust that men’s hearts can be changed and much can be averted. There will be disasters and catastrophes but there need not be a total collapse. There is always a remnant that can be saved. How large is that remnant is depends upon the personal response to my messages. How I save each one varies according to their spiritual and physical needs. So let me say this. There will be a special saving action of the Holy Spirit. This saving action has already begun in the many stirrings of the Spirit in the Church, like the Charismatic Renewal. The stirrings have continued in my many appearances and in the growth of Marian devotions. This is due to the many people who have spread my word and the many who have received my word. My word is life and draws to life, calling people away from all that is destructive. Some of these movements are large. Others are small. However, as you look at all of these stirrings and all that has happened in these quiet, often overlooked, movements you can see much life. They contain great life and they are centered on the Eucharist. These I will use to form my remnant. These are the groups that I have prepared. They stand waiting to serve. They want others to join them. So, I use these words to encourage them. This is a message of great encouragement to those who have heard my call and have been so faithful. To these I speak. Let them listen to my clear words. I have placed in your midst a gift of my presence and a gift of service to the Church and to the world. You are very, very important to me and your little group is a precious jewel in my sight. Do not worry about numbers or about how many gather with you. Be concerned only with the gift I have placed in your midst. How have I called you together? What is your identity? How are you faithful to my action in your midst? These must be your concerns – fidelity to whatever I have done. How did you begin? What is your history? Whom have I raised up to help in this task? See what I have done through the many stirrings in your hearts. See the years of fidelity to your movement and all whom you have tried to help. Now, just persevere. You are a life-giving remnant and when others begin to search, they will find you and rejoice to join you. You will welcome them. You are part of the Ark of my Immaculate Heart. This is the reason I brought your little group into existence and why I have blessed you all these years. I need thousands of little arks because my people are scattered everywhere. They are drowning in this sea and will be glad to find a place of rescue. Thank you for your fidelity to the call. Expand your ark for many others will soon join you. Everyone wants to know about this event or that event but I do not speak to satisfy curiosity. When I speak of events it is to point out the forces of evil or to call my children to actions that need to be taken now. The source of these words is the love in my Immaculate Heart. Through these words love can go forth and all can drink from its stream. So, let us begin. As the events of this year unfold, many will grow anxious, asking, “What are we to do?” and “How will we rescue our children?” You are all aware that the resources have shrunk and that the future is clouded in uncertainty. You look at the children and wonder what their lives will be like. What future do they face? This is an important question. Some will try to provide for them financially but this road is limited by the worldwide economy. Others will provide them with the best of educations. The real solution is much more within the grasp of everyone. Look at your children. They will face the most uncertain of futures. What will the world be like in ten, twenty or thirty years? It cannot be imagined. So much power has fallen into the hands of those who would destroy. So much power has been taken away from the family and placed in the hands of government. Who will be making the decisions? Great forces will shape the society. These are the future. What can you do for your children? Call them to me. Teach them the mysteries of faith. Deepen your own faith because it is far too shallow. Look at your day. What consumes your time? When a flood is coming, do you not build an ark? Is it not wise to prepare? An ark is already built – my Immaculate Heart. There are thousands of little arks – people who gather to foster devotion. You did not see this as important. Now your eyes must be opened. You, yourself, can build an ark. Just gather a few of your devout friends and I will help you. Draw your children into the warmth and light of devotion. This is the best preparation for the decades ahead. Begin now. Do not delay. The door is always wide open. I never shut the door of my Immaculate Heart until the ultimate moment, when the soul is about to leave the body behind in death. Then, my heart closes. If the person is inside, he is brought to eternal life. If the person is outside of my heart, I cannot bring him to eternal life. My heart is like the Ark of Noah, saving all who are inside from the floods of evil. This is the great mystery of which I have spoken so freely. Right now, the doors remain wide open but so many pass them by, not realizing the importance of those doors. “Let us give ourselves to the joys of the world” they say. “We have no need to enter the doors of Mary’s heart.” O foolish ones, how different and happier would be your lives if you took time to examine and to enter. You would fulfill your goals, meet the right persons (for some even their future spouse) and discern your dreams. All is different in my heart. It does not contain the confusion of the world or the pressures that pull you in so many directions, or even worse, the temptations that lead you into sin. My heart is steady while the world is a ship tossed here and there among the many storms. Do not put my invitation aside. Many think that entering my heart can happen later and that they can always find a time. They do not see the squandered opportunities and the joys that would lift up their hearts. They do not see the light that would guide their decisions. Let me put this bluntly. There are two groups of people. One group lives in my heart and enjoys an intense and satisfying life. The other group lives in the world and struggles to even find meaning for their existence. What is the difference between a person who lives in a land filled with every food and a person who lives in a desert? The only difference is where they live. Yet, one feasts and the other starves. I cannot be any clearer. My heart is a fertile land and those who live in my heart enjoy every blessings. Outside of my heart there lies only a wasteland and those who live there experience every kind of difficulty. As the events unfold, all will understand how important are my words. Now, while the world goes merrily along its way, my words are shoved aside as useless and of little value. Yet, some will cherish my words and say, “These are important and we cannot set them aside with a wait-and-see attitude”. I speak from a mother’s heart, from great concern for the human race. These are all my children and I would care for everyone, whether they know me or do not yet know me. I must become known before all these events begin because I am the new Ark of the Covenant. Therefore, I speak and speak (almost endlessly) because I want the world to know my heart and that the Father, foreseeing these events, wants to provide this new Ark. I cannot give this teaching any more clearly. Very, very difficult events are ahead. They will certainly come. They will affect the whole world, some places more than others. I will be in the middle of these events, helping all who come to me. Right now, I will teach you how to come. Begin now, because when the flood comes it is too late to learn how to swim. Coming to me begins in silence, when your heart turns away from the constant distractions. When is the last time you have tried to be silent? The last time, you have tried to pray? I can be all around you but if you are not still, you will never experience my help. So, I say these words: quiet, silence, withdrawal from the world, a time of retreat, a time of peace, an attempt to pray, a calling out to me. They all urge you to do the same thing, to allow the powers of your soul to experience that I am with you. I am trying to pull all of the world into my Immaculate Heart, the Ark of the Covenant, where all can find a place of refuge. My heart is the only place that is safe in this world and I will protect those who enter. For others, I must search and try to find them. Let us say that a disaster happens, but a rich woman with all of her resources wants to help. She goes through the streets of the city and invites all to come to her home. Those who enter receive the finest care. Those who refuse to enter, she does not spurn. They, too, like all the inhabitants, are in her heart. She plans how she can help them even though they remain in the devastated city. Some, who receive her aid, see her love and they, too, enter her home. I am that rich woman. In my heart, the Father has placed all that man needs. In my heart, I can give total care. Yet, to even those who do not yet know of my heart, I go forth by these messages. Through these words I offer you, O reader, all that I can. Hopefully you would ask. Who is this woman? What does she mean by this invitation to enter her heart? By these stirrings, I invite you to come closer and receive all the help I can lavish upon you. Let the messages reveal the Woman Clothed With the Sun who has come to help you. Look for me and I will be there. Seek me and I will lead you on a special road into my heart. That is my goal. 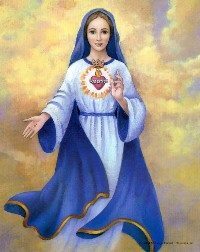 In these floods of destruction, I hold out my Immaculate Heart. This is the new ark of Noah and it openly invites all the world to enter. O reader, I am with you, close to you, saving you. You need not seek me in faraway places (although my shrines are filled with blessings). You need only believe my words. Let me speak them again so they are written on your heart. I am your mother. I foresee all the events that are unfolding. These events are chosen by mankind who has set aside the light and teachings of my Son, Jesus. Although mankind has chosen this path, I will offer to each person a different way. By believing and trusting in me, everyone can enter into the safety of my Immaculate Heart (the new Ark). The door is the rosary. If you say the rosary every day, you can be sure that you are safely in my heart and I will care for you. The full force of the evils has not yet hit. They are like gigantic waves that can be seen, still far out in the ocean, gathering strength and inevitably coming to the shoreline, threatening to sweep away all that man has built. Yet, no one believes. No cry for repentance rings out. No widespread turning to God and conversions of life take place. It is as if mankind sits next to the calmest of oceans on a sunny day. Is there not another force, rising ever so slowly? Seen by only a few. Yes, hidden from the eyes of the world, unknown to the mass media. I am preparing a counter force. But I must move quickly. Those who see and understand must not delay. I will speak ever so simply. Every effort to gather in prayer in my Immaculate Heart will be blessed. Every time a heart reaches out to my heart, a blessing will go forth. Every time my heart is spoken about, blessings will fall from the heavens. Bring the whole world into my heart. It alone is the new Ark of Noah, the only safe place amid these enormous waves. I want the whole world to know the mystery of my Immaculate Heart as the new Ark of Noah. In the original ark, only a few could enter to be saved from a flood that no one could foresee. In the new ark, the whole world can enter. In the flood, only Noah’s Ark prevailed. In the coming floods, only those in my heart will prevail. That is how important is my teaching. The world will continue as it has been. Its sins will continue to pile up. (Need I recount what everyone can see?) There will be no large-scale repentance or millions of people suddenly turning to God. (This will come only much later, when the blessings of my heart are fully released.) Right now, entering my heart will happen one by one, or in little groups. Do not despise these small beginnings. For even one more person to know about the new Ark and to decide to enter, is a pearl of a great price. My hopes are clear. Enter my heart quickly and tell others to enter. Like Noah’s Ark, the door will remain open until the floods begin. After that, the doors must close. Do not delay. Do not delay.